To cut or not to cut? That is the shoulder question. We Go Where You Are! How can J.O.Y. P.T. Help You? Sara Shupe, MSPT, Dip. MDT, is a physical therapy specialist and the Founder and President of J.O.Y Physical Therapy, which provides mobile and tele-health specialized physical therapy. She has shared her research related to low back pain at the North American Spine Society technology forum in Utah, NASS summer meeting in San Diego, The International Conference of MDT in Miami, and the American Physical Therapy Association in St. Paul, MN. It's not very common to break your shoulder if you are not in those "golden" ages of life. Current prevalence statistics vary from <2 to 8% of people aged 35 to 55 years of age. Given the right set of circumstance, however, and it can happen. I missed the step in the garage. I was a little too Steffi-Graf-without-the-obvious-talent on the tennis court. The dog tripped me and down I went on my outstretched arm. The humerus fracture isn't very funny. The order of care for your shoulder. practitioners will do to determine if a middle aged shoulder fracture patient would respond best to surgery or non-operative management. 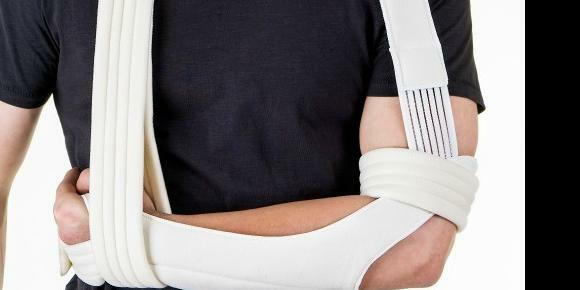 A current article from Amar Rangan's group found that 2 to 5 year follow up of patients revealed no difference in the function of the shoulder whether the patient had surgery or not (The PROFHER Trial 2013: Surgical vs Nonsurgical Treatment of Adults with Displaced Fractures of the Proximal Humerus). These international studies suggest that the grand majority of these patients heal without surgery. Furthermore, once a shoulder has healed non-operatively, it was found that the likelihood of needing a surgery in the future from the "post-traumatic arthritis" or some-other-scary-phrase is actually quite rare. So why are Americans doing all these surgeries on these fractured shoulders? Why are healed humerus fractures being told that a "total shoulder is in my future?" The economics of orthopedic care. The going rate of an average shoulder surgery or replacement in this country is $25 to $50,000. That is "without complications." Add an infection in there and your rate could double. If you have a $20000+ deductible like many Americans, you pay it. Kiss that Caribean vacation goodbye! In a few cases, the presence of a humerus fracture demonstrates significant pathology (i.e. instability) and thus requires surgical intervention). However, after the initial healing phase of the fracture, the majority of middle-aged folks do not need surgery both at the time of fracture, or years down the road. Instead of surgery, it has been found that otherwise healthy people can demonstrate positive outcomes from a treatment called Mechanical Diagnosis and Therapy or MDT. It has been shown to be efficient and less expensive. With the mounting costs of treatments for musculoskeletal disorders in this country, MDT is a breath of fresh air for those searching for more efficient, less morbid, and less expensive methods of care. * Reduced the likelihood for expensive and unnecessary scans and surgeries etc. Seek out a MDT provider in your region at www.mckenzieinstituteusa.org or call 651-800-MYPT if in MN or WI.